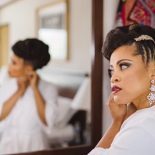 Summer weddings probably receive most of the attention when it comes to wedding hair and makeup tips, but as the chill is released in November, our hair and makeup can be quite the challenge. Regardless of the season of your wedding, any bride wants to be ravishing. 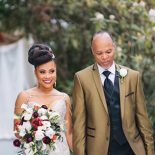 If you’re planning on booking a wedding makeup artist, here are some tips for the best looking winter skin — we want you to glow at your wedding! Exfoliation is your friend – The harsh winter elements — whether the cold of the outdoors or warm, dry air in the indoors — are notorious for leaving you with dull, flaky skin. There is some light in this situation: at least you won’t have to worry about your makeup melting off! To keep your skin and pores flake-free use a mild exfoliant a couple of times a week. This can be in the form of muslin cloth, or even a face wash with a grainy texture. Steer clear of exfoliating beads that some products tout, because they pollute our oceans and are not compostable. Moisturize – Moisturization can be effective both within our bodies (drinking plenty of water) and on our bodies through lotions and creams. If you’re applying product at night, be sure to use a serum or elixir; our skin cycle detoxes at night, so applying a thick, oil based product keeps it from doing its job. Let your skin breath at night! If you’re applying moisturizer in the morning, you can layer products for extra dewy skin. First apply a serum or elixir, and then a cream. Allow yourself a little sun – Our skin can get pale and pasty in the wintertime, leaving us looking well, a little ghastly. If you tend to use an SPF religiously, instead try using it every other day, or every two days to not only soak up vitamin D, but add a much needed wintertime glow. Use a light-reflecting foundation and concealer – Would you believe that winter lighting actually makes your skin look worse? Because of the frequent bluish tones in winter light, it draws out and deepens the flaws in your complexion; under eye circles are darker and blemishes appear more red. So, ask your wedding makeup artist for light-reflecting products to neutralize and shed blue tones. 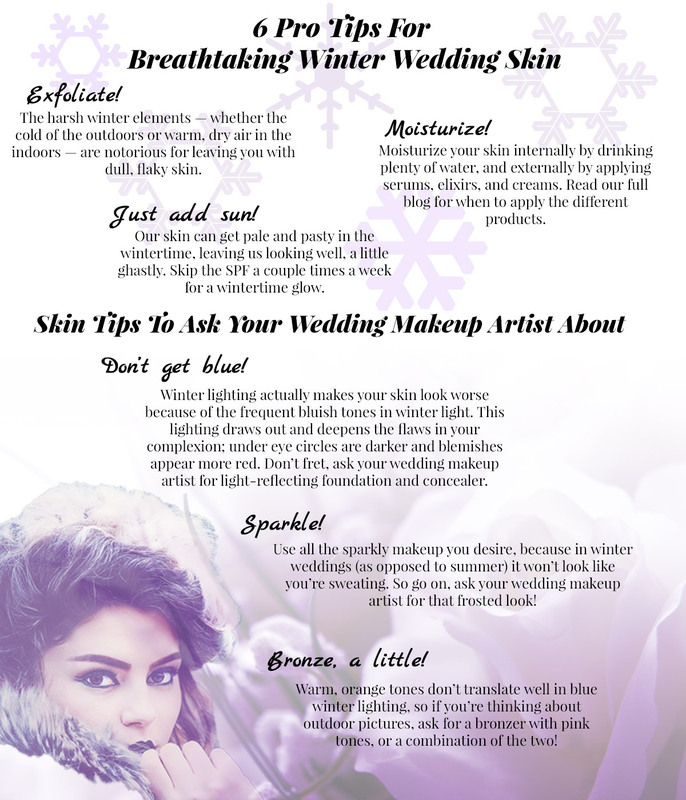 Sparkle, my dear – Use all the sparkly makeup you desire, because in winter weddings (as opposed to summer) it won’t look like you’re sweating. So go ahead and ask your wedding makeup artist for a frosted look. Use bronzer sparingly – If you’re going for a sloped-kissed look (as in ski-slopes), ask your wedding makeup artist for one relatively close to your skin tone (a rule of thumb is only one shade up). Warm orange tones don’t tend to translate well in blue winter lighting, so if you’re thinking about outdoor pictures, ask for a bronzer with pink tones. 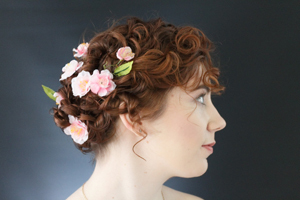 If you’re looking for a wedding makeup artist in the Trenton area, book Londyn Artistry today. 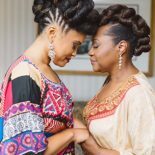 In addition to wedding makeup, they make wedding day house calls (with their glam squad) for manicures and wedding hairstyles as well!